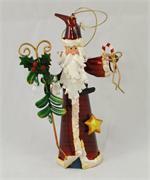 This tin Christmas Santa will be the perfect addition to your gift shop or Christmas tree. Approx 5'' tall. Choose from jingle bell ornaments 16 per pack or garland 21 bells on a 5ft garland. 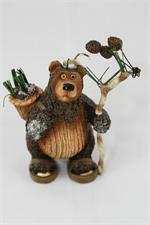 These ornaments are beautifully crafted and wonderfully painted. 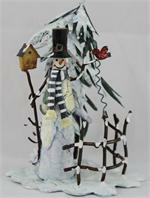 This cute little snowman will make your Christmas tree look great or be a top seller in your gift shop.